By all accounts the Inaugural Women’s Laser Regatta was a HUGE success. 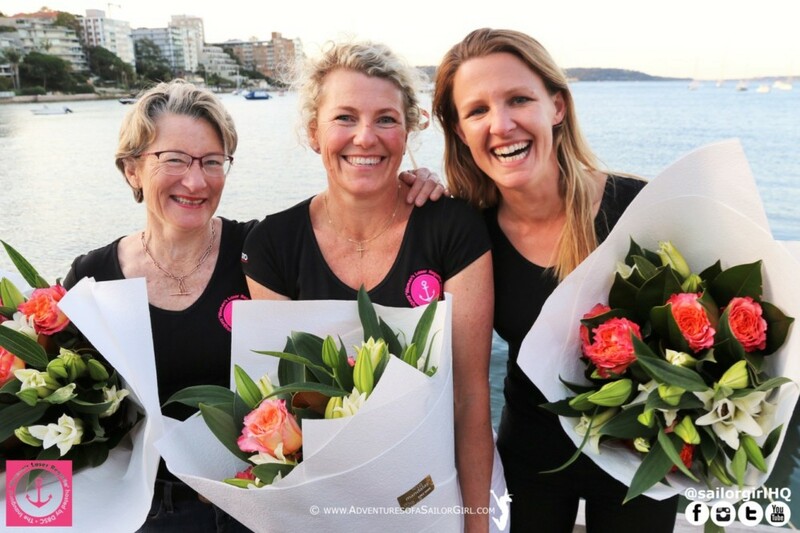 But it wouldn’t have come off so well if it hadn’t been for the days of planning and hard work put in by so many DBSC members – especially from the core Women’s Regatta Committee of Clare Alexander, Christine Linhart and Christine Patton. These three women worked tirelessly to create a word-class event. The Incredible Women’s Laser Regatta Committee. Clare introduced the idea of a weekend-long women’s sailing event to the Management Committee last year and after receiving a thumbs up, planning started in earnest. The initial idea was to hold the event last autumn, but after speaking to many female sailors in the area, it was decided September would be a better date. The two Christines got on bard soon thereafter, and since May it has been full-steam ahead. The Women’s Committee would like to extend a MASSIVE thank you to all who said YES to helping - everyone from boat lenders to toastie makers, from the website team to the treasury team, from on shore riggers to dolly helpers, from on water support to our coaches and from our generous sponsors to the supportive families. The DBSC Men Came Out in Force. We can’t thank everyone by name, as the list would include almost every DBSC member, but a special word of thanks to the canteen crew of Paul Adam, Shirley Roach, Andrea Bergman and Tim Patton. Our female sailors devoured the delicious toasties on Saturday… and on Sunday the food standards were lifted again with introduction of the Benedict Buns! Thanks to the crew for providing the women and girls something delicious and wholesome.